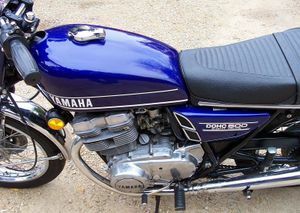 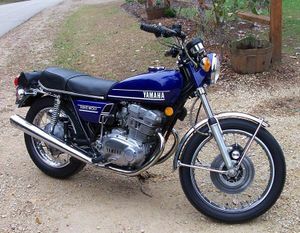 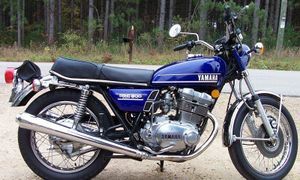 The Yamaha TX500 is a motorcycle produced by Yamaha from 1973 to 1974. 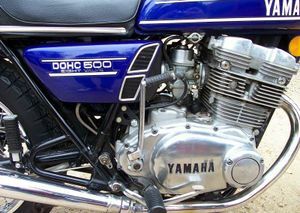 Yamaha broke into new territory by creating a 4-valve per cylinder engine in a production streetbike with the 500cc, 4-stroke, twin cylinder TX500. 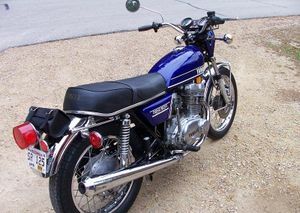 In 1973 the TX500 appeared with twin overhead camshafts and two years later evolved into the XS500 which sold to the end of the decade, but never in large numbers. 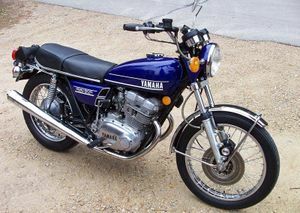 While it was a very innovative motorcycle much of its thunder was stolen by the rip roaring RD350.